Congrats Roxy!!! We hope you enjoy the rest of your life with your family!! Awww sounds like a fantastic home, and I love how much they look to love her already. They simply can’t hide it, you can’t ask for much more than that. Well done! ok #1) thats like the mega millions!!! Her very own sister to grow up with? melts my heart. 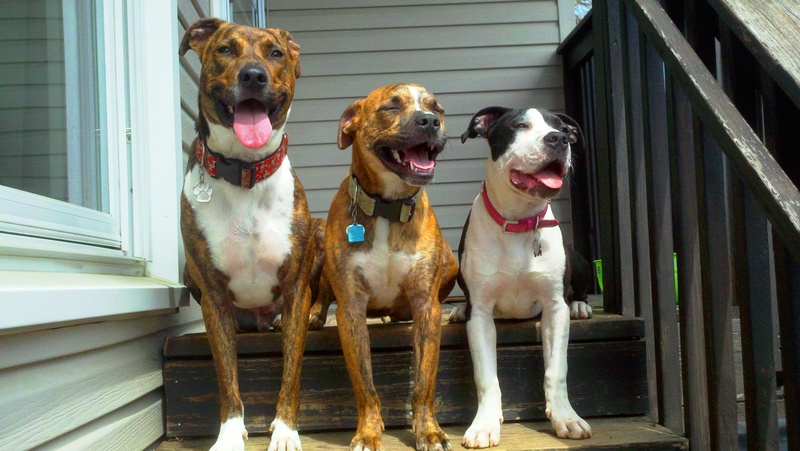 #2) I LOVE that picture of all three dogs on the steps, amazing! That’s awesome! Now to find Cooper’s family…they’re out there somewhere looking for him! Congratulations, Roxie! Hopefully Cooper finds his forever home soon. I know, poor Coop has been lapped! I’m thrilled for Roxy! Although I know there is a empty feeling for you guys now with your pack back down to two. Roxy should think her lucky stars for the day your paths crossed. Congrats sweet Roxy! SO awesome! What a great family, that last shot made me tear up at the end. Go Roxie!!!! Fingers and paws crossed in NYC that Cooper is next! And that was so thoughtful of the family to write you such lovely note and bring you a small token of gratitude in appreciation for everything you’ve done for Roxie. 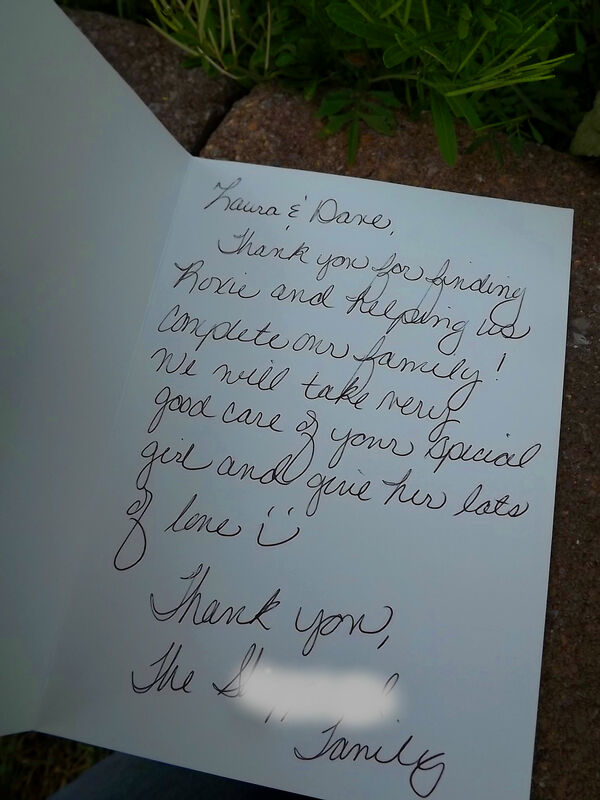 I know from reading your blog that you love fostering and don’t do it for anything or anyone but the dogs, but it must be nice to get a sincere, heartfelt thank you every now and then. 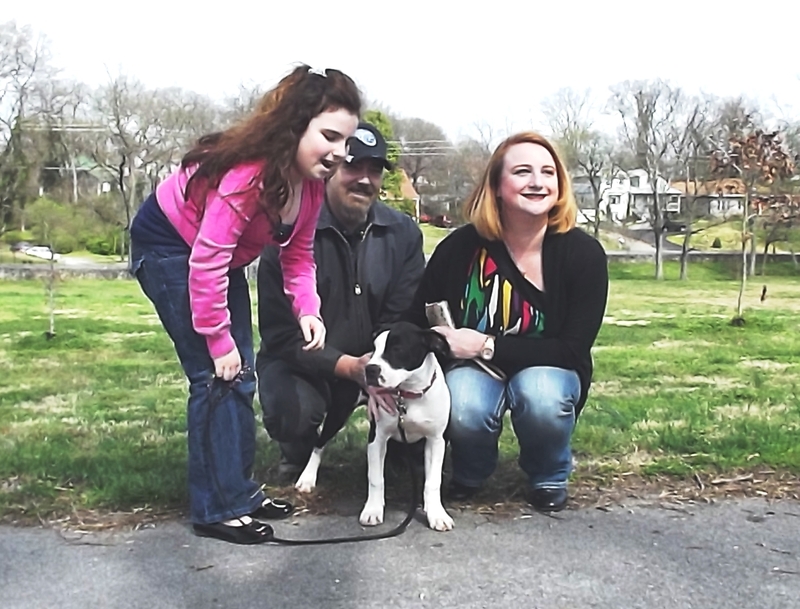 How did this family find you/Roxie? Did they just stumble upon you at the park as the post implies? If so, talk about destiny! Wow! That brought tears to our eyes! 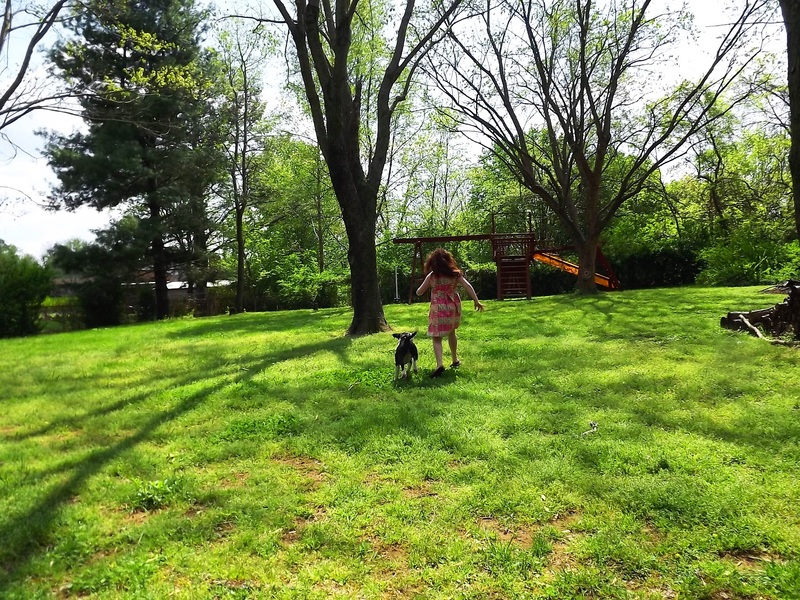 She has really done great….although, I know that she misses her foster parents and brothers some:) But, we have kept her very occupied! Roxy loves following her big sister around and is trying her darndest to figure out how to climb up the slide. We have been on walks, had plenty of rewards for good behavior and even the kitties are already loving on her!!! Midnight aka Black Kitty had a cat bath with Roxie today…..I can’t believe that just yesterday Black Kitty was puffed up porcupine as Roxie approached her, and today she is allowing licks of love:) Can’t wait to share our story and send you new pictures. 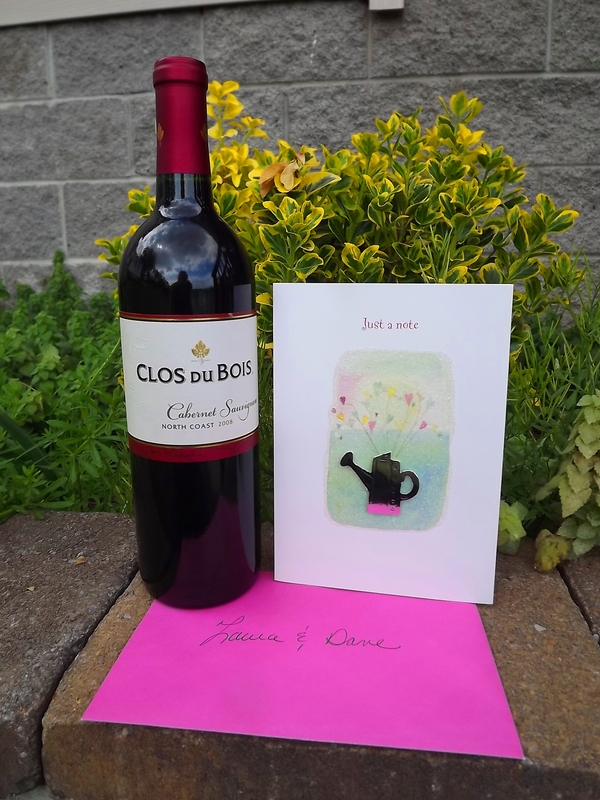 PS….I hope you had a family sized glass of wine last night….you deserve it! Aww, happy tears. And tears of understanding for the hole you have in your heart now. Great job guys! Keep on keepin’ on! Wonderful news! 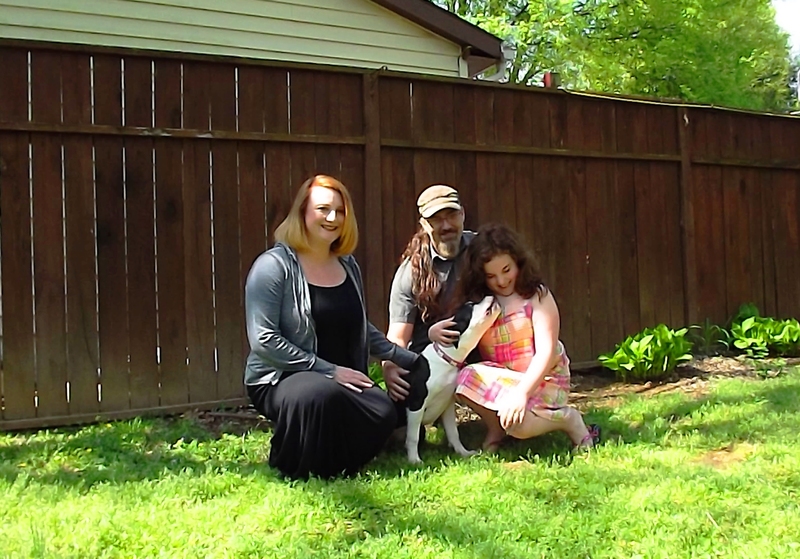 Wishing the best for Roxie and her new family! Congrats to Roxie! 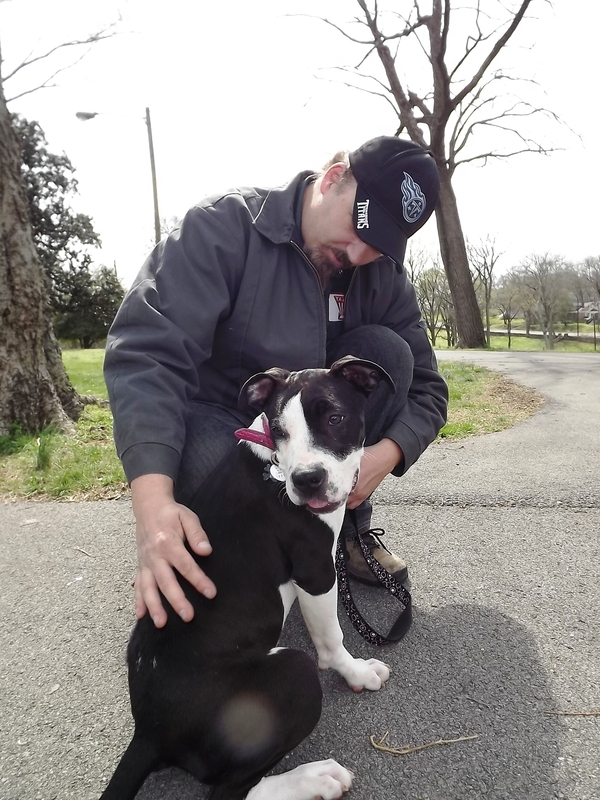 I’m not gonna lie – this post made me cry a lot – Roxie’s story is so awesome! You did a great job with her and it sounds like her new family is amazing!